And this one cost me three times the budget I spent on my first soft lens but this one worth the price, seriously. 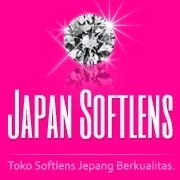 A lot of Indonesian beauty blogger has been reviewed soft lens from Japan Soft Lens. 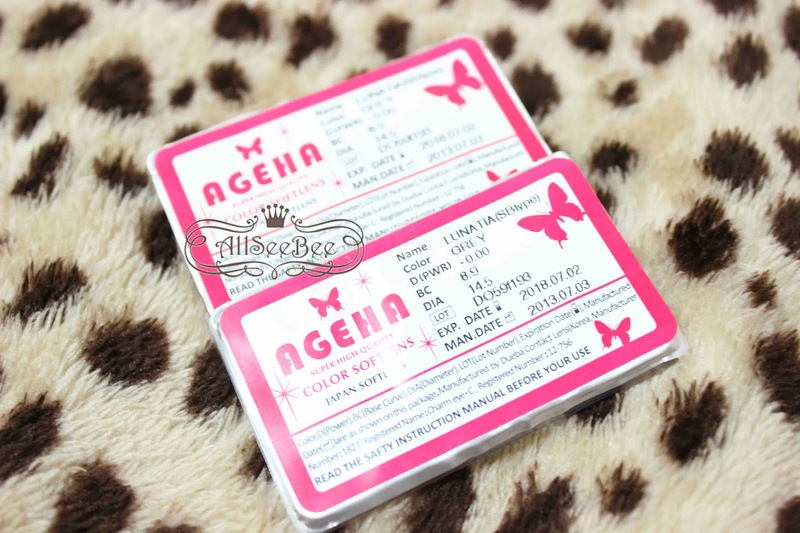 If you are one of the Indonesian beauty blogger, you must be familiar with this brand. Especially this Lunatia Grey which like everyone's favorite. This soft lens came with their signature pink metallic box that looked really special and feminine. Oh yeah, I got this lipstick shaped pen as a bonus when I purchased the soft lens. These were what came from inside the box. A paper contain of instruction manual that written all in Japanese, a soft lens case and the blisters that contain the soft lenses. Closer look for the lenses. It has three tone colors that make the lens looks very natural. The diameter of this lens is just 14,5 mm which is categorized as normal size for soft lenses. There is no significant enlargement effect from this lens. The pattern of this lens is very natural looking. Look how the pattern look just like real iris on my eyes and the three tone of this lens gives extra dimension to my eyes. I have to say that this lens is really comfort, seriously. What I also like from this lens is that it doesn't make my eyes dry. Yeah, there are times when you have to open your eyes and not to blink for a few seconds (like when you are taking pictures), my other soft lens felt like about to came off, but this Ageha Lunatia lens was not like that. Oh yeah the other thing I notice from this lens is that it doesn't move when I blink my eyes. Okay, at first trial, I used this lens for 10 hours straight and it felt like I didn't use any soft lens at all which is great. But, the next time I tried it again, I didn't know why it gave me some kind of blurred vision (I was driving when it happened) and my eyes just felt really dry even after I used eye drops. It was really uncomfortable. 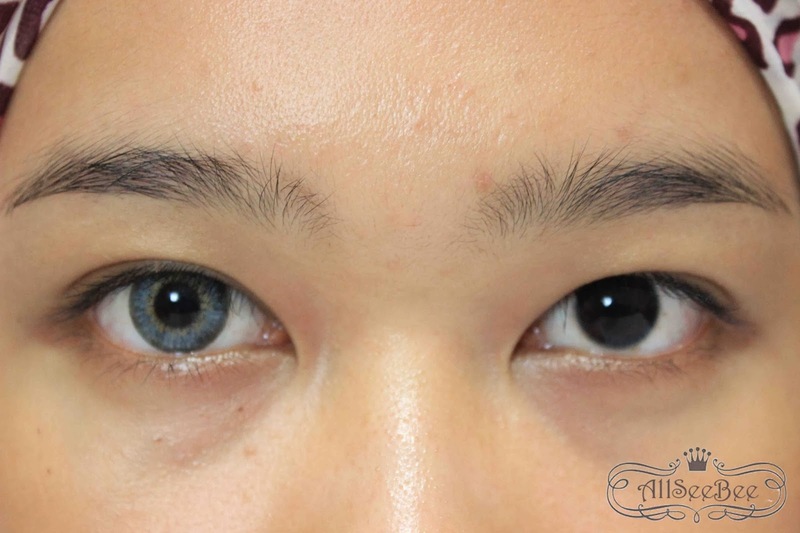 After reading other beauty blogger that has similar case with me, now I know what causing this soft lens and my other soft lens felt uncomfort. I used the O2 brand solution that turned out to be a contributor for the uncomfort feeling to my eyes. After that I changed the solution to X2 Comfort Extra which, Thank God, brought back the comfortness to this Lunatia Grey. One more thing, is it just me or you (Ageha lenses user) also find difficulty to take the lenses off of your eyes? It was not that difficult but it was just not that easy for me to took it off . Here are some pictures when I used this lens to support my whole make up look. Want to try this soft lens too? 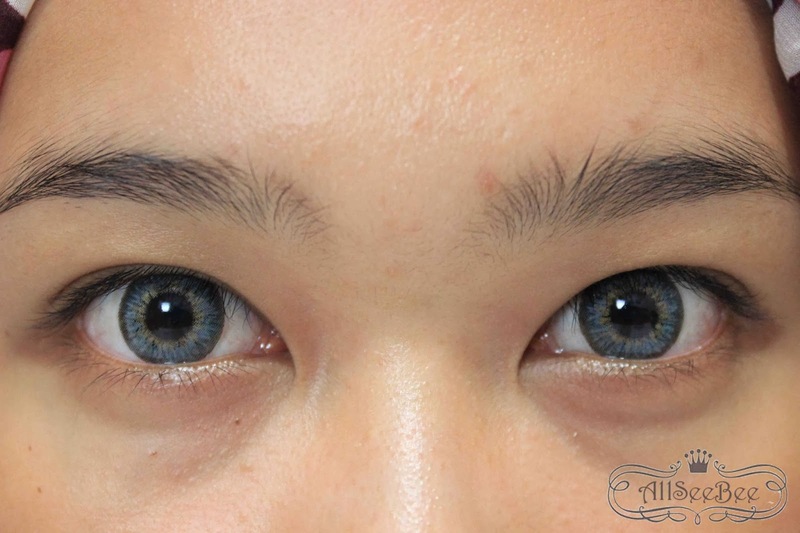 Huhuhu cucoook abis ya.. softlens ini.. pingin banget beli..